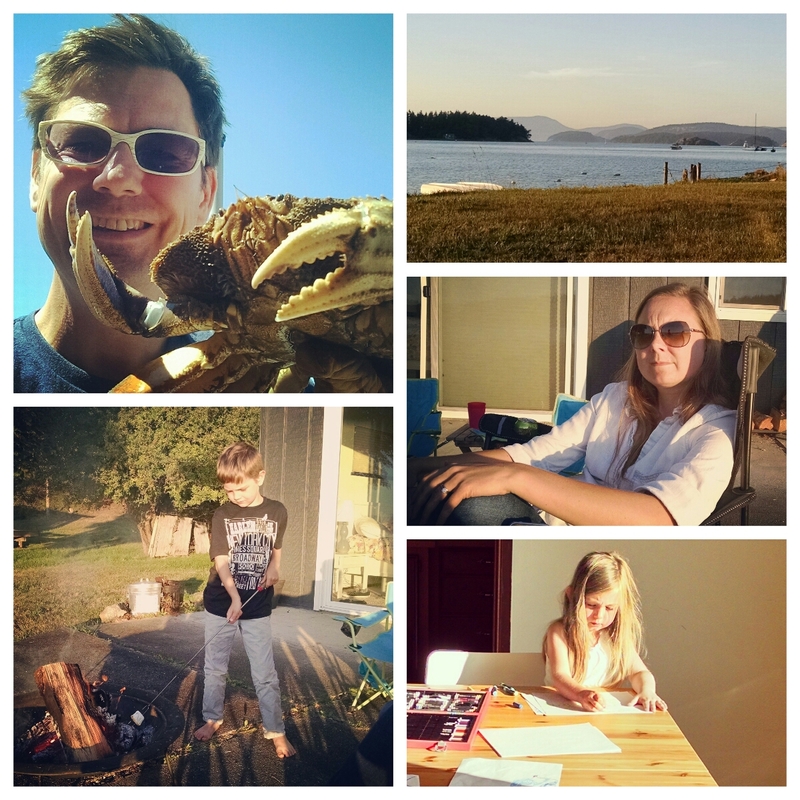 Counterclockwise from top left: Tim cleans crab, Henry plays with fire, Ruby draws, Kristine relaxes, Mud Bay remains calm. NOW THAT IS A GOOD MONDAY!!! !